We invite applications from secondary students (between S4 and S6) interested in developing music composition skills. 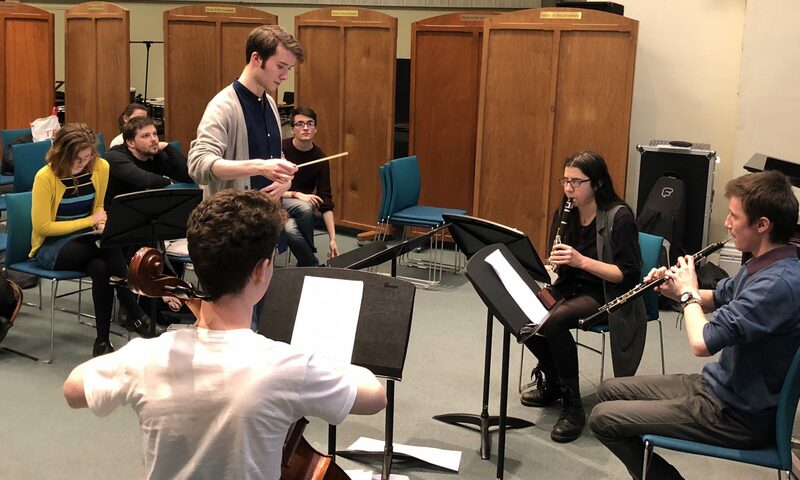 The course will run between October 2018 – April 2019 and sessions will take place fortnightly at the University of Glasgow music department on Friday afternoons between 4-6pm. Very importantly, we require a commitment to attending all sessions and completing homework throughout the year, as well as the final composition project. You will be mentored by a senior undergraduate student, and over the course of the year you will receive tuition in score-based composition and guidance in composing a new piece. Please download and email a completed application form to Dr. Jane Stanley (jane.stanley@glasgow.ac.uk). Deadline for applications is 5pm Monday September 17th.